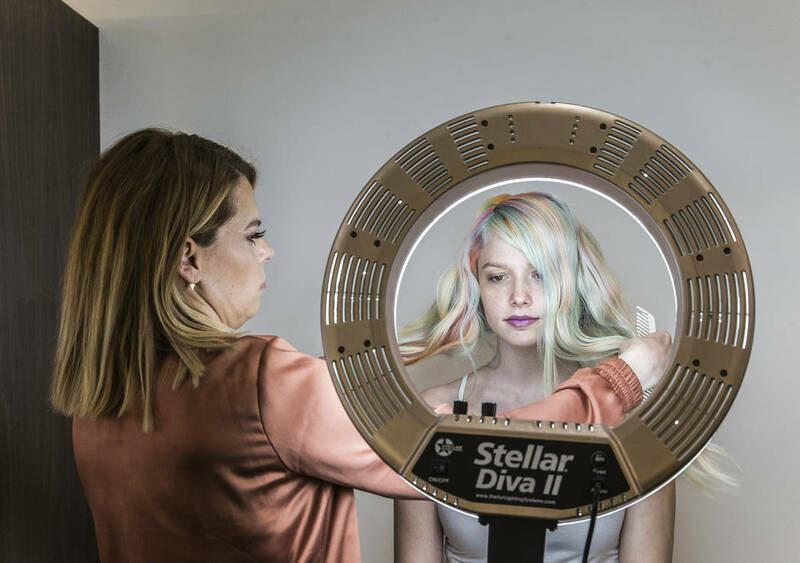 With a short series of Instagram posts, Las Vegas native Shelley Gregory’s pastel “macaroon hair” lit up the internet. 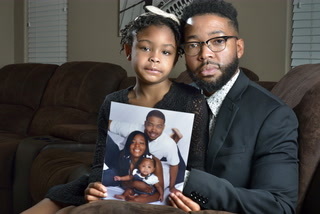 “It got picked up by Cosmopolitan, Huffington Post and all of these huge sites, and I went from 1,400 followers to 10,000 followers in like two months,” she said of those initial posts in 2015. Gregory, 36, a graduate of Bonanza High School, is known worldwide for the style she calls rainbow hair. 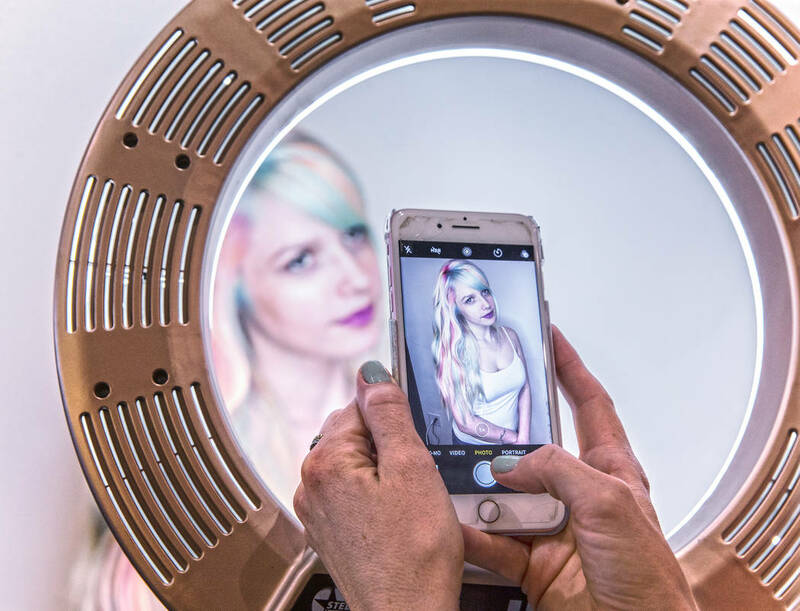 Gregory aggressively documents her rainbow hair, blush blonde and other styling expertise on social media. That effort has helped her reach women worldwide (some from as far away as Australia) who are willing to travel to Las Vegas for their multicolored, cotton candy-like hair transformation. It has also led to a professional partnership with L’Oreal Professionnel. 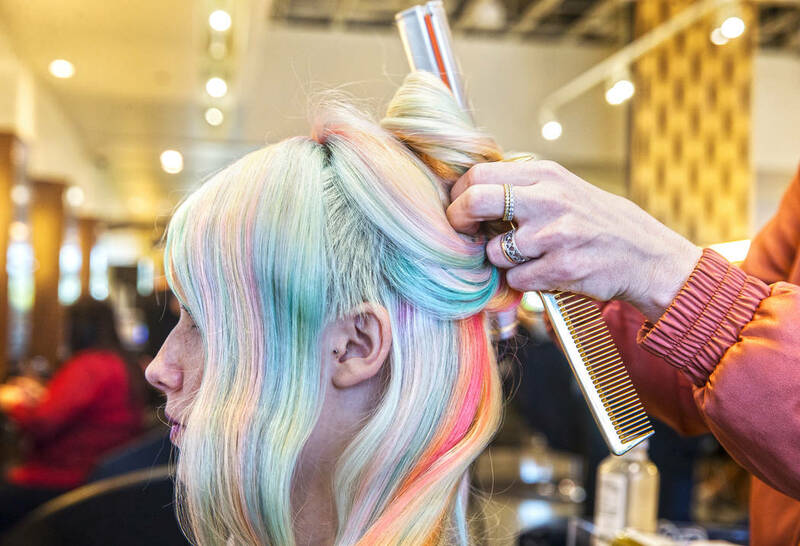 Cynthia Guerra, 29, became one of Gregory’s first rainbow hair clients after spotting her work on Instagram. She lauds Gregory’s creativity and ability to transform any picture into a hairstyle. 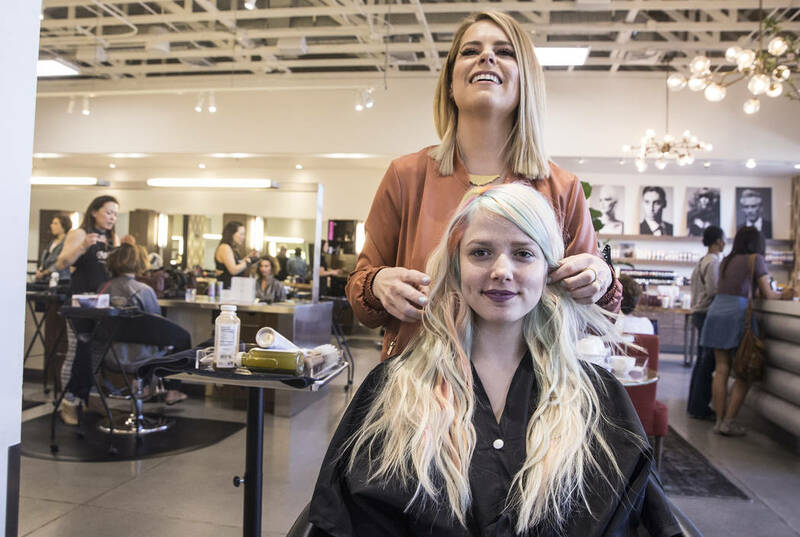 Guerra, who has worked at Betsey Johnson and Lush, says sporting pastel colored hair has become an asset for her in the workplace despite it being part of a newer trend — read Starbucks Unicorn Frappuccinos and glittery bath bombs. 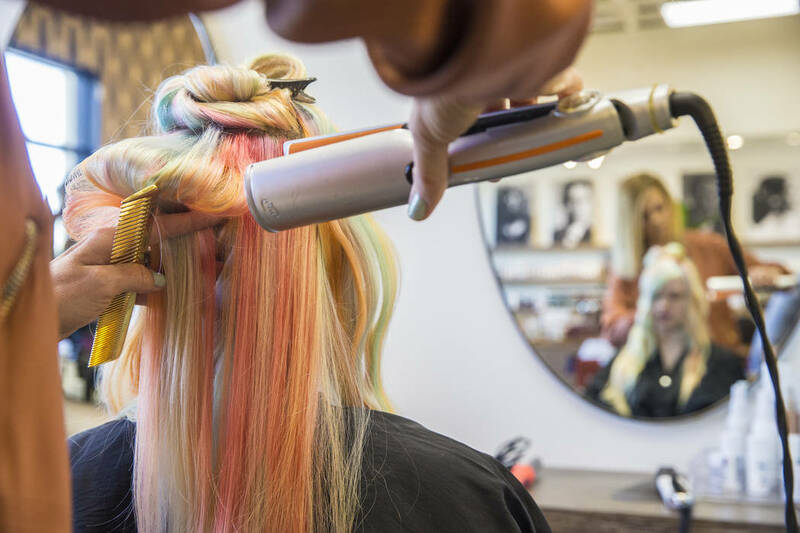 Dr. Michael Borer, associate professor of sociology at UNLV, isn’t surprised that rainbow hair — and other mainstream color explosions — are big in Las Vegas. “Science fiction and fantasy have been a part of many cultures for many years, but there seems to be an uptick in people’s interest in both sci-fi and fantasy recently,” Borer says. 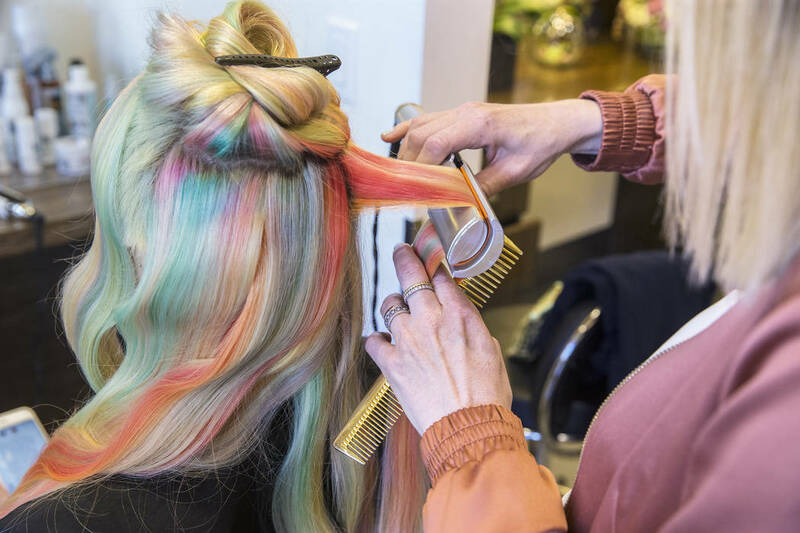 Gregory, who works two 12-hour days per week at her Atelier by Square Salon on Fort Apache Road, worked with L’Oreal on a new line of pastel hair colors that will debut in the U.S. this year. She’s been featured in European advertisements for the line. 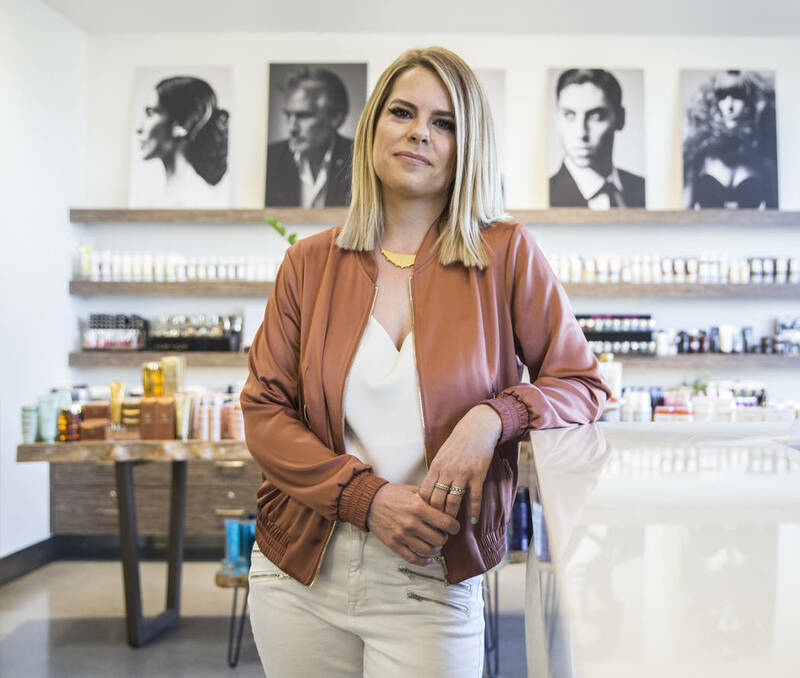 Jennifer Atkinson, 39, is a regular client of Gregory’s because she’s so good with blonde hair — maintaining its integrity and strength in a dry climate keeps her coming back to Atelier. 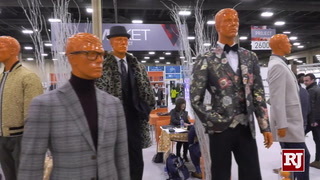 Despite being one of the most sought after stylists in town, the “girl from Vegas” says she keeps her chair open for anyone looking to transform their look. 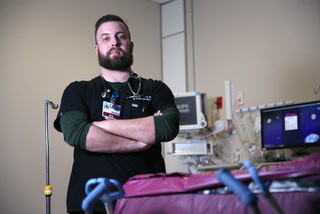 Read more from Anna Williams at reviewjournal.com. Contact her at awilliams@reviewjournal.com. Follow @AnnaWilliamsRJ on Twitter.